Without a doubt, I am the last person that I would have ever guessed would plant and pastor a church, having grown up as a dedicated atheist. From an early age, I would turn on the television to mock Christianity because religion seemed like a joke—a way to con people out of money by preying on their fears and inadequacies. But that meant life was completely empty for me because I had no idea why I was here, what I was supposed to be doing, or where I was going. I woke up every day with two goals: 1) don't die 2) live for today with as much pleasure as I can possibly find. I was angry, immoral, purposeless, and fearful—that is, until God was pleased to bring me under the preaching of the Gospel. A faithful friend loved me enough to warn me about the judgment to come, and told me about the love of the God I had been rejecting—His kindness, mercy, and grace—that I could have the hope of heaven, a relationship with the God who made me, and forgiveness for all I had ever done and would ever do. I learned that Jesus was a substitute who died in my place, that He absorbed the wrath of God for my sins, and then rose from the dead to conquer sin and death, and is coming again to judge the world in righteousness. I learned that He is Lord of all, and would transform me from the inside out. When I trusted Christ July 21st, 1992, everything changed. I knew that I could no longer pursue the course I was on and now had the desire and ability to change, which by God’s grace, I did. It wasn't long until I totally dropped my career path of sports medicine and athletic training and embraced a call to make Christ known by preaching God’s Word and shepherding God’s people. As a graduate of the Master’s College (B.A. Missions, 1998) and Master’s Seminary (M.Div., 2001), my greatest passion is to see lives changed by the power of God’s sufficient Word, proclaimed with power, authority, urgency and without apology. I have had the amazing privilege to pastor churches in California as an associate pastor, and Ohio, Nebraska, and Arizona as a Senior Pastor. I love teaching, preaching, equipping, counseling, casting vision, and church planting. I can’t believe that God would use me. 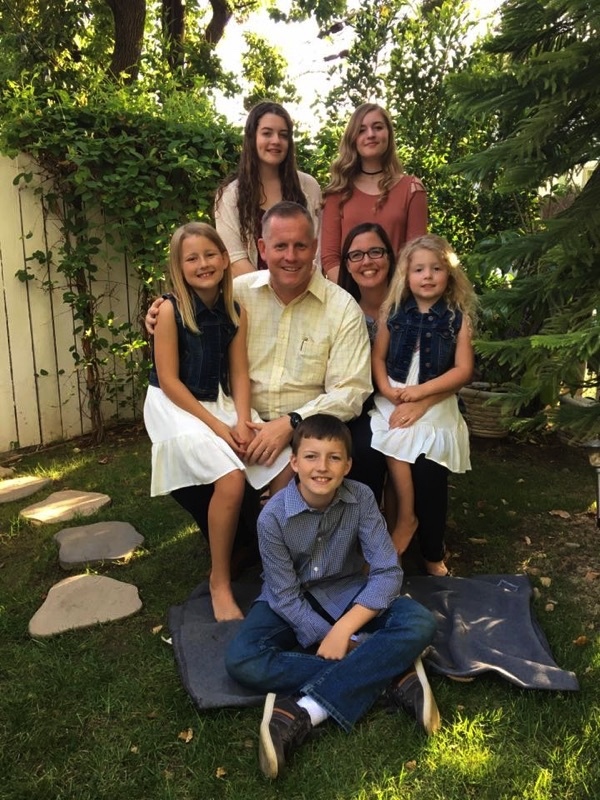 I am deeply humbled to be joined in ministry by the woman of my dreams, Jana, who has made this journey with me since we were married in 1996 and given me five amazing children: Emma, Ashlyn, Ty, Janie, and Allie. Beginning this ministry has been one of the most personally thrilling and helpful decisions we have ever made. I get to partner with some of the most humble and decisive leaders I have ever met; men and women who are Biblical and strategic thinkers, and who have a heart for Christ and the lost. I am thankful to be able to walk this path with them.